Rewarding Times have once again teamed up with ely wine bar who know a thing or two about matching great wines with delicious food, they've been doing it since 1999 and are recognised every year since then for their wine selection, food provenance and seasonality. Most recently the McKenna Guides Insider's guide to Ireland 'Ireland the Best' wrote "Home to one of the best wine lists in the world...Ely is also home to serious cooking...and drinking something here is one of the great delights of Dublin city"
To celebrate the summer ely has a 3 course Summer Set Menu using fresh Irish crab and buffalo mozzarella, fresh Irish salmon and organic beef, from their own farm in the Burren, for you to enjoy. They also make their own desserts and select excellent Irish ice creams. No meal is complete without some excellent wine and ely have selected a red and a white from two of their favourite wineries in Spain. The white is a Bodegas Zarate Albarino 2017 in Val do Salnes, Rias Baixas. Zarate have long been considered the finest producers in Rias Baixas, and their wines show the true potential of the Albarino grape. Perfectly balanced between the lean focused minerality of, say, a good Chablis, and the peach and apricot fruit more commonly associated with this grape, the 2017 is vibrantly fresh and an absolute joy to drink. For the red ely has picked a Rioja, the ‘Vina Cubillo’ Rioja Crianza 2009 produced by the iconic Vina Tondonia. This is a Rioja Crianza which surpasses most Riservas for complexity and depth of flavour. A traditional blend of Tempranillo, Garnacha and Graciano, it shows classic red fruit, aromatic spice, leather and smoky oak, and the palate is deliciously soft and silky. What really sets these wines apart from the crowd is their aging potential, and at almost nine years old, this wine is genuinely sublime. Choose from the three course Summer Set Menu and decide if you'd prefer a bottle of red or white. Better still you're welcome to enjoy both wines by the glass, ely pours four glasses to the bottle. Normally this menu plus the bottle of wine would be €120 for two people but it's €85 for Rewarding Times members. All our beef, pork, lamb, poultry and game are from Ireland. Co. Clare, Ireland. Our 'Craggy Island' Lamb from the neighbour. Vouchers are valid from 8th May unitl 31st August 2018. Voucher must be used by31 August 2018. This redemption date is firm. No correspondence will be entered into regarding late redemption of your Rewarding Times Voucher. 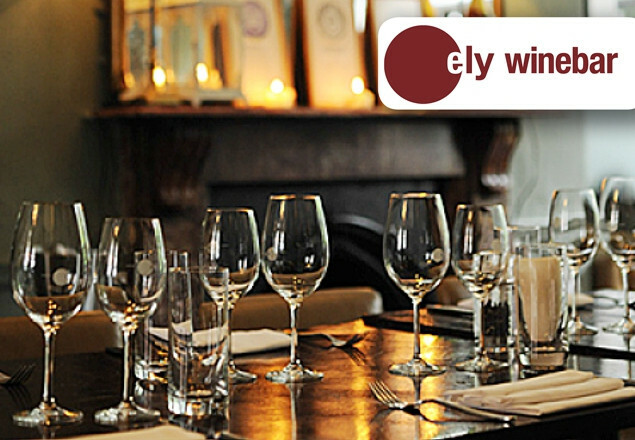 Vouchers are valid for dinner bookings only for ely wine bar, 22 Ely Place, Dublin 2. Vouchers are valid Monday – Saturday from 5pm. Service charge is not included in the price of the voucher. A maximum of 3 vouchers per table allowed and on a table of 6 or more the normal service charges will apply. 3 course dinner for two includes choice of starters, mains, dessert plus four glasses of wine (ely pour 4 glasses per 75cl bottle of wine). Should the selected wine become unavailable then ely will select a comparable alternative.